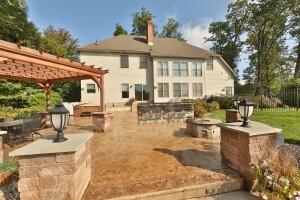 The most popular item our customers add with a patio design is walls and pillars. Both functional and decorative, seating walls and pillars are the perfect addition for any client to add another element to their design. Adding them to the design gives the customer a sense of completion. Walls can be functional in retaining or supporting land and they can be functional in dividing areas into separate rooms or blocking off certain aspects of the yard. They can be utilized for extra seating around a fire pit and an area where people rest their food and drinks. There can never be enough room for seating and table space especially when hosting outdoor gatherings with fiend s and family. Walls can be placed to simply add a decorative sense to the design. 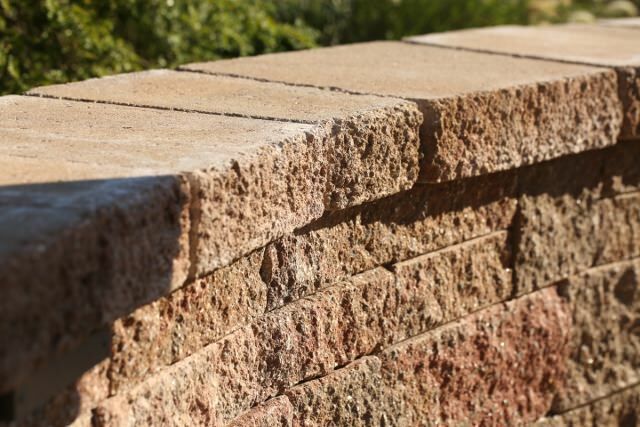 We design and install a lot of paver block and masonry walls with our stamped concrete and paver patios. The colors schemes we use go together beautifully and match well with any existing condition. 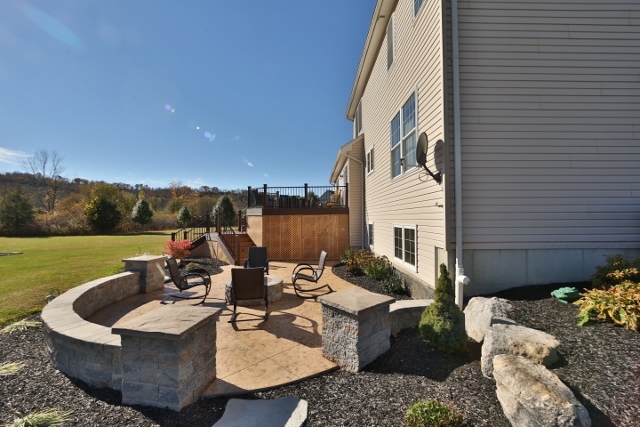 Stone pillars are a great addition to patio areas as well. They add height and dimension to the space. Adding them to the entrance of an area makes a classy statement and looks great. 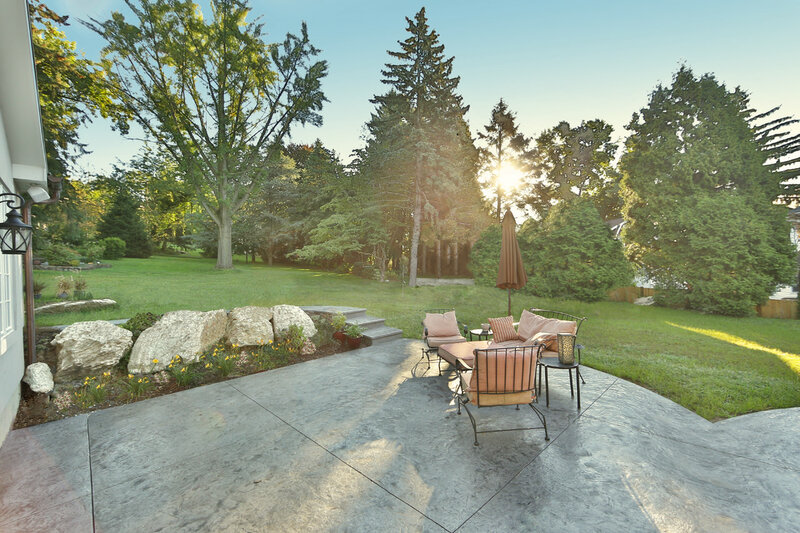 Many of our clients wrap stone pillars around deck posts when the area under the deck is utilized for gatherings. When we are designing backyards for our client we like to show them pillars in areas where there is elevation change. Whether it is a stepdown from one patio level to another or series of steps, using pillars in this area is not only a safety addition but looks amazing. Another way we like to incorporate pillars into the design is to use them as the end pieces of sitting walls. When planning to install walls and pillars you should also consider lighting that goes with them. We use an under cap light for both walls and pillars. The light shines in a V-shape, down the front of the wall, to the floor, creating a wide spread of light. Post lights for the tops of pillars look great too. A large post light can light up an area very adequately. Always consider lights with any outdoor project you plan to install.